There is no doubt that rainy days are best spent curled up by the window with a book and a cup of tea, or chatting with a friend while the rain gushes down outside. However, the moment you have to run an important errand, the rain turns into the source of your worries – delaying you or ruining your stuff. Getting stranded in the rain or turning up somewhere absolutely drenched is not uncommon, and makes this season a drag on our twenty-first-century lives. It’s better to avoid makeup completely as not only are we battling with the rain actually washing it off, there’s a lot of moisture in the air which can turn our makeup into an unrecognisable mess. If you must use makeup though, make sure you’re using a primer; this will help keep your makeup intact for the most part. A good makeup routine to follow would be to apply some primer, a BB Cream containing SPF, some waterproof mascara and a moisturising lipstick/ gloss. Heavy eye makeup is a complete no-no unless you know you’re going to be indoors. Frizzy hair is probably the most common hassle during the rainy season. The best way to prevent frizz is to apply a small amount of serum to the ends of your hair and tie it up in a bun or a braid. This will keep your hair soft and tamed, and will also make for a cute hairstyle when you open it up. Invest in a good rainproof bag and some rain boots, as the former will ensure that all your things are protected from the rain and the latter will make sure your feet do not come in contact with disease infested puddles. An umbrella can prove to be useless in heavy rains but go ahead and buy some cheap ones so you don’t feel bad if you lose them (because they love disappearing). 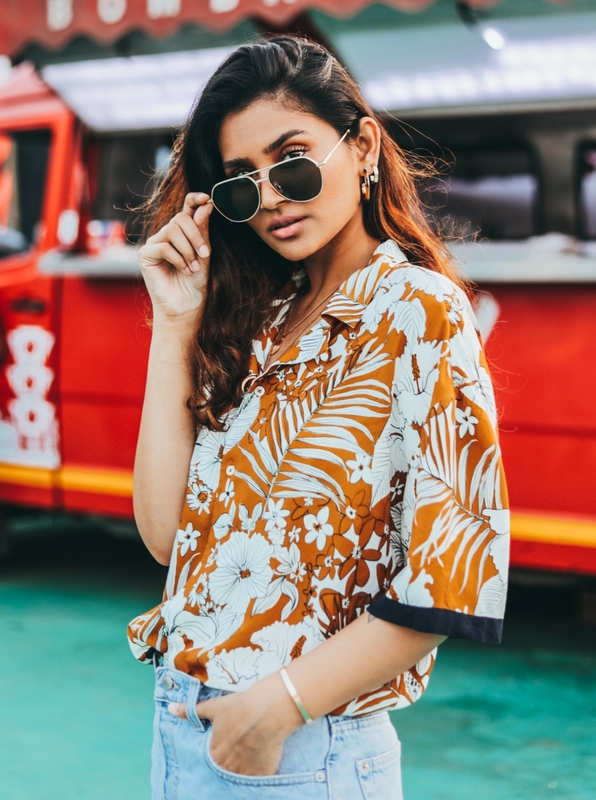 Raincoats make a good fashion statement, however, there are not many brands that do stylish ones here in India (hint hint), so you may have to hunt for this one. Avoid wearing any fancy clothing (unless it’s made for the rain), as you’ll just wear them out a lot faster. Another common mistake is wearing whites; these just get dirty easily and can also turn transparent in the rain (cringe!). Also, keep in mind that metal jewellery can give you rashes on your skin, so trade that in for genuine or plastic pieces. If you’re wearing socks with shoes, carry an extra pair of socks with you just in case the pair you’re wearing get soaked. Carry tissues in your bag, you never know when you or someone else might need them. If your phone or any other gadget has been spoilt by water contact, switch it off and put in a bowl of rice for about a day or two. Keep your windows open when it is not raining to let fresh air into your house, this will prevent excess humidity and fowl smells. Fungus on your shoes is common in the monsoon – use an old toothbrush to brush it off and leave them out in the sun. You also want to keep your feet clean and dry as far as possible. Give yourself home pedicures – you can do this by dipping your feet in a dettol/savlon solution, and then scrub them with a pumice stone or foot file. Try and keep your nails short, this will make sure your feet don’t get smelly/ infected. Collect silica gel packets and put them in your cupboard or around still gadgets (like a set-top box) this will collect the moisture and keep away fungus. Eat more green veggies, fruits and all things that support your immune system as we’re most susceptible to contracting diseases during this season.